Whenever I hear about a new case, where schoolgirls allegedly are poisoned I have to think about myself as a little girl too. The mysterious poisonings of school girls in Afghanistan has again become a headache for the Afghan government and worried Afghan parents. Until today, nobody really knows what is exactly behind the verdict of school going girls in Afghanistan who believe that they have been poisoned, but there is no scientific evidence for it. Having pondered over the several poisoning cases that have been reported over the recent months, I recount some of my observations of Afghan girls and women living in Afghanistan. My observations can not be seen as representative for Afghan women as a whole, but they might shed some light on the background of the strange poisonings. 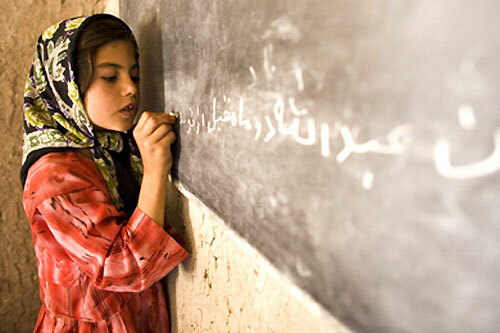 School girls in Afghanistan have been under threat for a long time. Fundamental groups in the country try to hinder girls from receiving an education at all costs. Mina, the daughter of our close family friends is like any regular girl living in Afghanistan. Like most girls she was interested in make up and fashion. Sometimes she would steal my make up instead of asking for it; sometimes she would steal money too. Having grown up with only brothers, she was not very confident in front of others, but she knew how to defend herself in her own family. She is just a normal girl. It was only when Mina became sick a few years back that I started to take notice of her. She was an introvert who rarely ever started a conversation. Sometimes she asked if she could sit next to me and watch me while I would work or get dressed, but she never said much. It was only when she became sick that I really began to think about what lay underneath the surface of the pretty girl with big, round eyes. Obviously Mina was sick. Her symptoms were real, but there was no cause for it. The whole family was very worried; no one knew what sickness she had. The only thing they knew: She fainted repeatedly; she became unconscious or had weeping fits, or even started screaming for no reason. The doctor couldn’t help her, which worried her parents even more. “We brought her once to the doctor, he said she is fine. That guy must have been an amateur, can’t he see our daughter is sick?” her parents complained. As a result she was taken to different mullahs, to pray for her and heal her sickness with the help of taweez, pieces of paper with Quran verses on it. After a while her illness had gotten to a point that she had scratches on her body and started seeing jinn, ghost-like creatures. Her family couldn’t leave her at home alone anymore, because they feared something would happen to her or she would hurt herself. Her mother spent a lot of money on healing her with the help of mullahs, but nothing worked. My dad, who is a doctor, told them, her daughter was not possessed by a ghost, she just had a depression, but no one listened. “What’s a depression? That’s what lunatics have”, was their answer. A thought most Afghans in Afghanistan share. A lot of Afghans prefer the help of a fortune-teller or a mullah to help them with physical and psychological problems. After a while Mina got engaged. She had chosen the groom herself and had convinced her parents by threatening to fall sick again. She was not 18 yet and it was against our family customs to marry off daughters in the family at such a young age. But Mina got what she wanted: She had her way and all of a sudden she was healed too. No fainting anymore and no ghosts that would haunt her. From time to time she still pretended to be sick to escape the house chores, but by now no one really takes it seriously anymore. When I ask her brothers about the jinn, they laugh: “Jinn do not exist”, they reply. If you are a woman and you live in Afghanistan you are living a life full of restrictions and expectations that you have to cope with. Very few women are given permission by their families to go out of the house and indulge in leisure activities, but even if one does enjoy these freedoms, the Afghan society pressurizes a woman into a life full of norms and traditions that she has to live by. Speaking up against this repression is rarely an option. Fearing the sanctions, most of the women try not to get their lives in danger and just get along with the societal pressure. Going out with friends, choosing a career of your own, choosing a life partner on your own, dressing the way you like, laughing, talking; simply everything has to be controlled by society – by the “others”. An Afghan woman would hear this one sentence the most in her life: “Mardum che bogoyan?”, “What will people say/think?” (If one acts in a certain (unwanted) behaviour). The examples mentioned above could even lead to death depending on how radicalized the environment is that you live in. If you’re unlucky, no one is willing to marry you or your family’s name will be dishonoured, which is regarded a crime worse than death. Apart from the social consequences Afghan women are facing, four decades of war are only adding up to what most women have to go through. What’s left to do as an Afghan woman? Either you are courageous enough to speak up and fear for your life afterwards or you shut up and find other ways to rebel. In some cases family pressure or the pressure by society becomes worse to an extent that psychological problems can occur as well. One of the signs of psychological stress is the cry for help in subtle ways. I’m not a psychologist or psychiatrist but I can still say; that the psychological stress Afghan women are going through has got nothing to do with pretending to be sick. They really are sick, just not physically sick but mentally. A very high percentage of Afghan women are suffering from trauma and depression. Some studies say that 80% of all Afghan women are depressed. Why wouldn’t they be? If I, an Afghan woman who has only lived her early years in Kabul, has problems hearing fireworks and who is still scared of dark forests – why wouldn’t an Afghan woman not be depressed and psychologically instable? 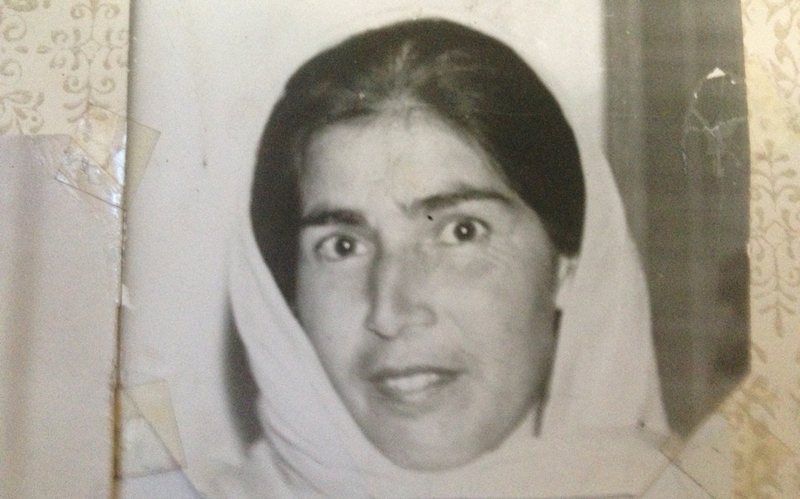 An Afghan woman, who is taunted by death, war and repressed by misogynist structures for decades, has every right to be mentally ill.
Today I don’t imagine to die in front of my dear ones. Ironically in my early teens I began suffering from severe anaemia and hypertension, which would make me faint a lot in school and other places. Since then I stopped wishing that physical illness should bring me the social attention I was lacking elsewhere. The truth probably is that Afghan school girls may not be poisoned, but no one can ignore the fact that this phenomena exists. These girls need help, they are crying for help and it is our duty to hear them out. Given the fact that a whole country and every generation in this country might be traumatized and suffering from PTSD and depression, there has not been enough work done in this field at all. You can spend millions of more money to bring democracy to Afghanistan, but as long as you don’t heal their mental wounds, there will never be peace in Afghanistan. “Waslat! Tell your cousin to move his head away from your shoulder or I’ll pick his eyes out” she yells at me. The lights have gone out in Kabul and it is dark in our apartment. With her long white hair and fair complexion, she reminds me of a ghost. Her milky, see-through headscarf intensifies her eerie aura. I immediately freeze at her sight and stare at her. My little cousin moves away quick like a weasel. He nods and says: “Yes, Bibi jaan.” While I still ask myself why my 11 years old male cousin is not allowed to come close to me, she searches the messy cupboards for a candle. She seems to have found what she was looking for, because she walks out and slams the door behind her. “What was that?” I nervously laugh at Fayaz. He starts giggling and rolls around, placing himself back to my shoulder. “Don’t bother. You know how she is”. He then puts me off and begs: “Show me the games on your phone again please”. I have a complicated relationship with my grandmother. Since my parents and I left Kabul when I was still a little girl, I never developed a loving bond with her like other kids do. But unlike my other siblings and cousins, I feel connected to her more than everyone else. When other kids talked about staying at their grandparents I would think about my grandmother in Kabul, who was so different from the old ladies my friends called their grandmas’. I always wished she would hug me and give me gifts like other grandmothers did. But after twenty years when I saw her for the first time, she was cold hearted and had a strange relationship towards men and sexuality. These Photos were scanned from a calendar of Ariana Afghan Airlines from 1973. The pictures display the local, traditional dresses of Afghanistan and their diversity. Every pictures symbolizes a region or a city in Afghanistan at that time. For many privileged Afghans leaving their country is the only option these days. Fears of a new crisis after 2014 are growing. For Afghanistan this means loosing potential leaders of tomorrow. Marina is one of them. “Yes of course I can send you the story in the next 15 minutes”, I told my editor, with a smile as if he was sitting just before me. Around me there were 3 people discussing their lunch at the same time and it was hard enough concentrating on the call. I was still on telephone when a colleague from the Hindi department showed up. She came inside our office & made a sign to me saying she wants to talk to me. It’s very rare that someone from the other foreign language departments pass our offices in the far away cellar. I call our floor the terrorist-floor, Afghans and Arabs united in one place. Not being able to concentrate at all, I finished the call quickly and went outside to flee my annoying co-workers. Manasi, my Indian associate was still waiting. “I need to talk to you”, she said. “We can’t find Marina”. I looked at her, perplexed. What was she talking about? Had something happened to Marina? I felt like fainting as my knees went weak. Manasi ignored my shock and carried on: “We called her phones, but they’re all shut off. She didn’t come to office since a few days and she deleted her Facebook account”. In the background my colleagues, who were still arguing about what to eat for lunch, seemed very far away now. Let me burn in those black diamonds that are called your eyes , oh beloved. Zheela was a lovely girl. She was tall, beautiful, fair, intelligent, caring and a good cook. She came from an influential, decent and rich Afghan family and the family was widely respected. She was a good Muslim, prayed frequently and took the Islamic customs serious. She was the ideal bride for every afghan mother-in-law. Only if she hadn’t had one flaw: Being too educated and too modern. Being grown up in Europe and financially having all the possibilities for the best life, she was a delicate brunette girl who had access to private schools and universities and lived a modern life with a up to date lifestyle. I know Zheela since ten years. Never have I met a more caring and kind-hearted girl. Being the eldest in our friend circle of teenage girls, Zheela always took responsibility and set our boundaries straight, when we tried to cross them. She lived a life according to the modern-Afghan future we had ahead of us. And yet she was still unmarried. For most afghan families Zheela was too modern to be a good wife for their sons. “What if she makes troubles for us, with her crazy beliefs and ideas”? The one or another interested mother would think and give up the thought of proposing her for her son. “How will I keep up with a girl with a Masters and a good job? What if she already had a boyfriend?” her son would ask himself and rather find a younger, not so educated girl. I remember when we used to dream about our future husbands. “He should be an Afghan of course and handsome and educated”, we used to say and giggle about the thought. But always were we perplexed about how to find an Afghan prince, when there were not many afghan boys around us in Europe and the ones we knew were “Savage Idiots”, as we called them. Both of our parents were liberal and never talked about getting us married or not to mention even arranging a marriage. We never talked about marrying young again. Instead, life carried us on and away and we started going to separate universities and eventually working in different fields. In these years me and Zheela hardly met, but we always kept in touch once a month, or posting a random “Missing you” on each others’ Facebook walls. I met her again a few weeks back, being away from each other for months and rarely talking during that time. “I’m coming tomorrow”, I texted her. “Can’t wait. My mum is bringing me to the Mullah”, she replied. I thought she was making a joke and didn’t bother her unusual reply. I just thought about what a good time we’ll have, because no matter how much time we spent apart we always felt the closest. On my way to her city, I kept reminiscing about the good old times. “Why a mullah”? It would still cross my mind a few times over and over again while I was looking outside the car window on the long drive. The day she had turned 26, everything changed for Zheela. Suddenly her parents began thinking about what would happen to Zheela – the unmarried girl. Back in the days, Zheela was just 15; a few relatives came to their house to ask for her eldest daughter’s hand. Her parents dismissed the “Khaastgaarha” of course. “We’re not giving our daughters away that young and without a finished education”, they told them in the past. Now – her mother feared the spurned suitors had cursed Zheela. She was going to take her to a Mullah, an Islamic cleric, to break the curse, so she could finally get a husband, Zheela told me. Mixing religion with superstitions is common among Afghans and apparently, in Zheela’s case, even among the very liberal and educated Afghans as well. “My Mum is crazy”, she laughed nervously. “Suddenly my liberal parents are behaving like the Taliban. You know what my Grandmother said the other day? I shouldn’t tell anyone about my age, I should tell them I’m 21”. She laughed again, trying to make it look funny. I looked at her worried. Her dark, big eyes tried to laugh – but in real they were empty and tired. Zheela paused. “You know what the worst thing about that is?” She asked me after a while. “I actually believe this myself. I feel so pressurized to marry and can’t stop thinking about who might be suitable”.